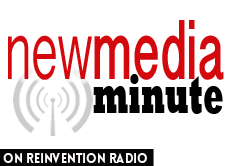 Special guest, Rosie Aiello, joins Steve and Mary to share her success around attending New Media Summit, including getting booked on 20 podcast interviews. Before the summit and hearing Steve speak, Rosie had never even listened to a podcast… now she can’t stop! She shared with us that the intimacy created around connecting with the podcasters was one of the biggest takeaways, citing it’s the best event she has ever been to.